One of the two new models in Cartier’s Drive collection in 2017 (with the Drive de Cartier Moon Phases), the Drive de Cartier Extra Flat lives up to its name, with case thickness less than 7 mm. In pink gold, it’s cool; in white gold, it becomes the perfect dress watch, with an uncluttered dial, no seconds hand, no date window, just two blued steel hands and the Roman numerals. The dial is in satin silvered sunray. 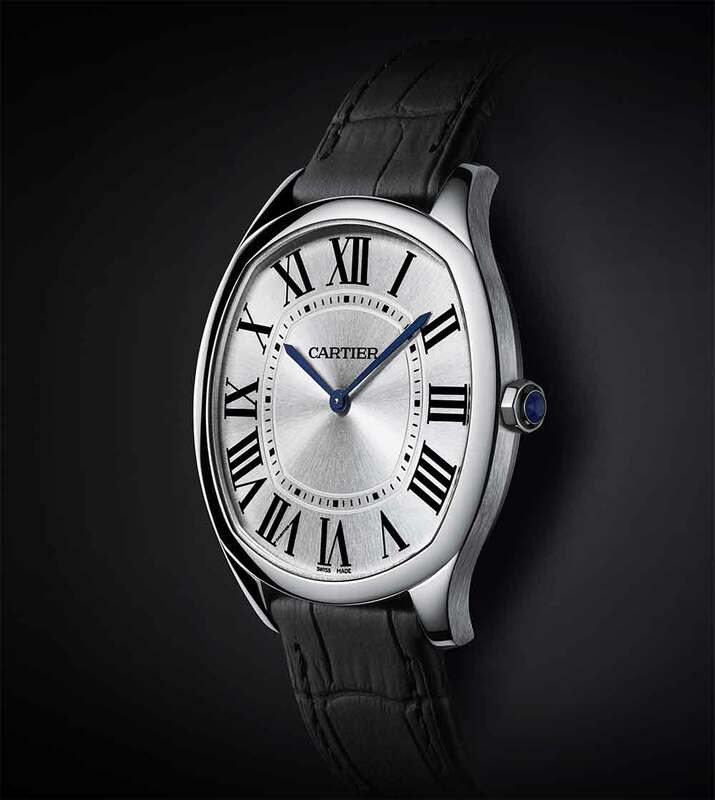 The watch is 39 mm wide, 6.6 mm thick, and it has the classic Cartier hallmarks, including an octagonal crown set with a faceted sapphire. 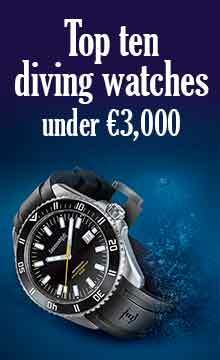 Water resistance 30 metres. The timepiece is powered by the hand-wound 430 MC movement, presumably built by Cartier but based on the Piaget 430P ultra-slim calibre. It runs at 21,600 vibrations per hour, 3 Hertz, with a power reserve of about 40 hours. It has 131 components and is 2.1 mm thick. It provides just hours and minutes. 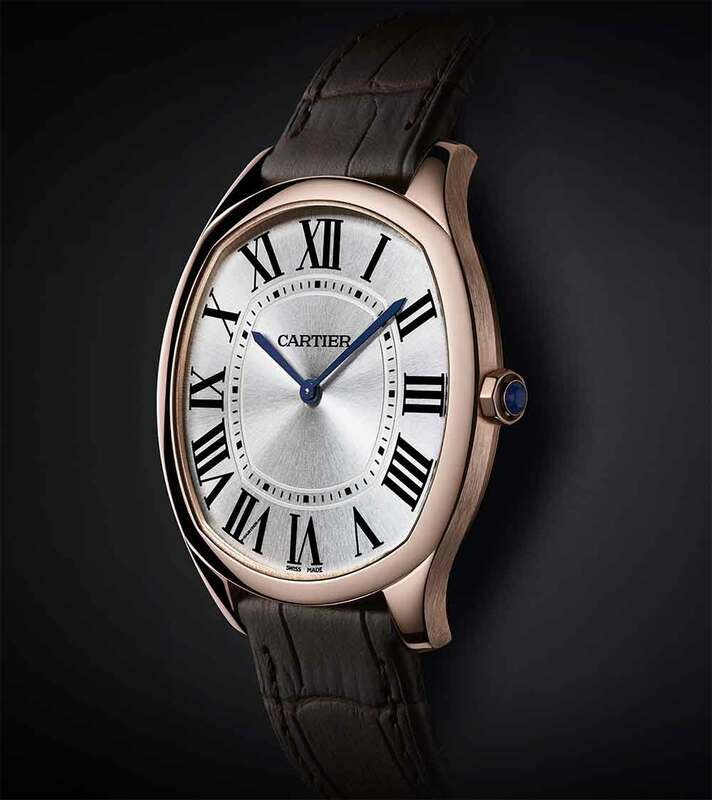 The Drive de Cartier Extra Flat is available in pink gold, with brown alligator strap, and in white gold with grey alligator strap. The pink gold version is reference WGNM006, price before tax €12,500. 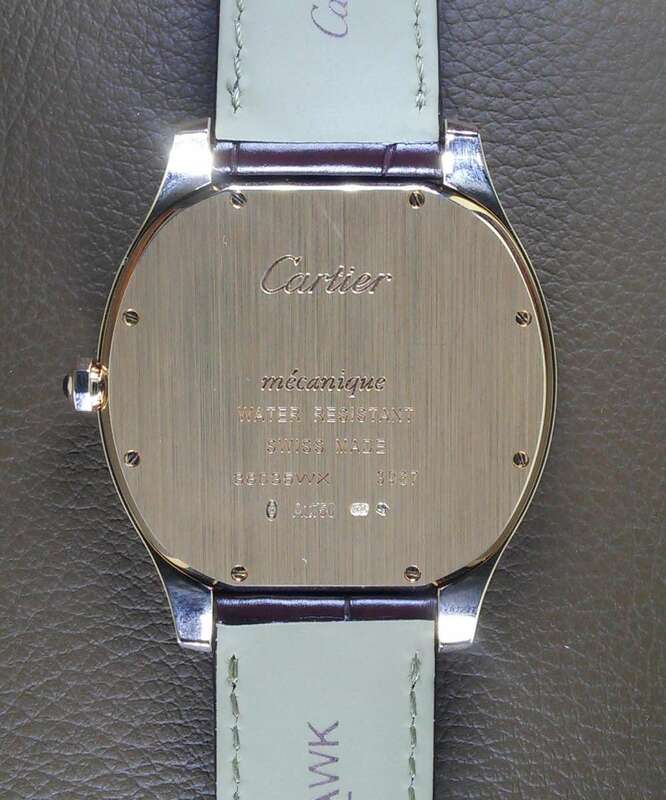 The white gold version is reference WGNM007, price before tax €13,400: this version is a limited edition of 200 pieces. Available from April 2017.